Cruising with Captain Cook Cruises! Australia Day on the Harbour! 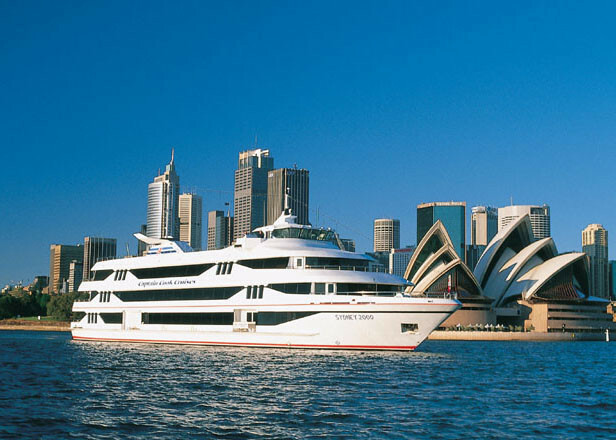 Celebrate Australia Day with us on Sydney Harbour aboard Sydney’s most prestigious cruise ship, the MV Sydney 2000, part of the Captain Cook Cruises fleet. The ship provides million-dollar views as you cruise our famous harbour. Your day will include a 4¼ hour cruise, special Australia Day buffet lunch, show deck individual table seating and standard bar of house wines, beers and soft drinks. View all the harbour events including the ferrython, RAAF Flyover and Navy Search and Rescue. Australia Day colours of green and gold. 4 ¼ hour buffet lunch cruise with Captain Cook Cruises.